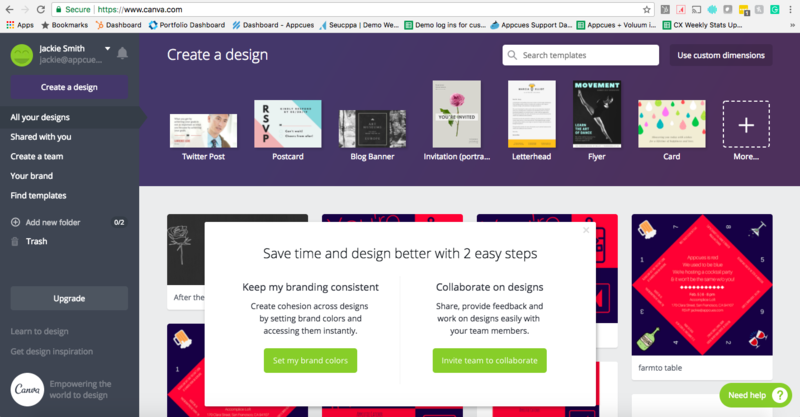 Canva is a design collaboration tool for different types of teams. Canva eases new users into their onboarding process by giving a two-pronged task list so users can complete each segment one at a time. By breaking their onboarding into two components (setting brand consistency and inviting the rest of the team), Canva creates a separate and more organized onboarding flow. Because these two tasks are very different, it makes more sense for users to do them one at a time rather than as part of a longer, unified task list. The concise copy under each header clearly demonstrates why each step is important for new users to find Canva valuable.